Hi and welcome to my Website! For those who already know me this site is all about Classical Dressage, and for those who don't - let me explain my involvement. Quite simply, I've been riding and practising the art of Classical Dressage for some 40 years. In addition, I'm a trainer, teacher, writer, video producer, lecturer, and the Founder of the Lusitano Breed Society of Great Britain and the Classical Riding Club. My late husband and I were the first to establish a large Classical Dressage academy of Lusitano and Spanish horses in the UK back in l979. Long before Classical Dressage became fashionable and acceptable again, I was teaching and promoting the subject throughout the world including South and North America, South Africa, New Zealand & Australasia. According to my publishers, I'm the most prolific and widely read English speaking author on the subject still alive today. I hope to continue! Sylvia is the only British instructor qualified by the Portuguese National School of Equestrian Art. 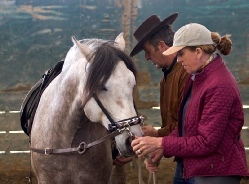 She is also the Classical Dressage Trainer for the ABRS Jefress Scholarship Trust. 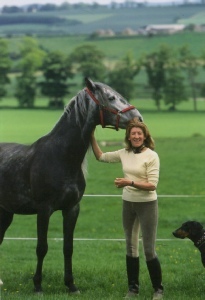 Founder of the Lusitano Breed Society of Great Britain (1986) and now Honorary President. 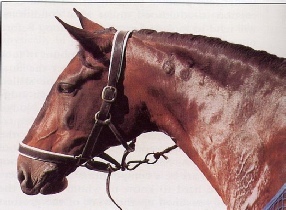 Hon member of the Portuguese Breeders Association. 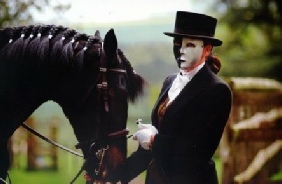 Her Classical Riding Club has been made an independent partner of the British Horse Society and its work is recognised at international level. She has been studying Classical Riding and teaching it for the past 45 + years and still continues to ride, teach and train horses of all levels. Demo at The Royal Mews - Buckingham Palace. Hon President of Show at Golega 5 day horse fair. It is always a great honour to be invited to write the Foreword or Intro to a classic book by a celebrated author. These include: modern edition of the famous The Complete Training of Horse and Rider and The Riding Teacher, - Alois Podhajsky, (late director of The Spanish Riding School of Vienna). Philippe Karl's - Long Reining, Horse Training in Hand - Ella Schuthof-Lesmeister & Kip Mistral, & Riding Relevations - Anne Wilson. Lecturer and Clinician include: Alabama - USA, Los Angeles - USA, Kenya, New Zealand, Australia, Equitana - Kentucky & Louisville - USA, Boston, Wisconsin, California, Alabama, New York STA and Calgary Canada. Invited as a guest presenter and trainer to The Dressage Convention 2013 run by Carl Hester and Richard Davison. Andorhina - The first Alter Real in England! Champion Mare for 3 years running.